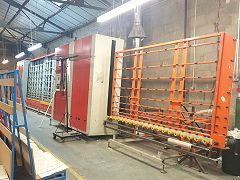 BMT 2mtr panel press line - 2m panel press - 6 brush glasswasher - very good condition, came out of a fully functioning glass shop. Left to right direction, comes with an outlet tilt table on the press section. 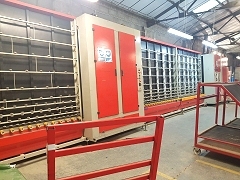 Can be viewed at our site in Birmingham.